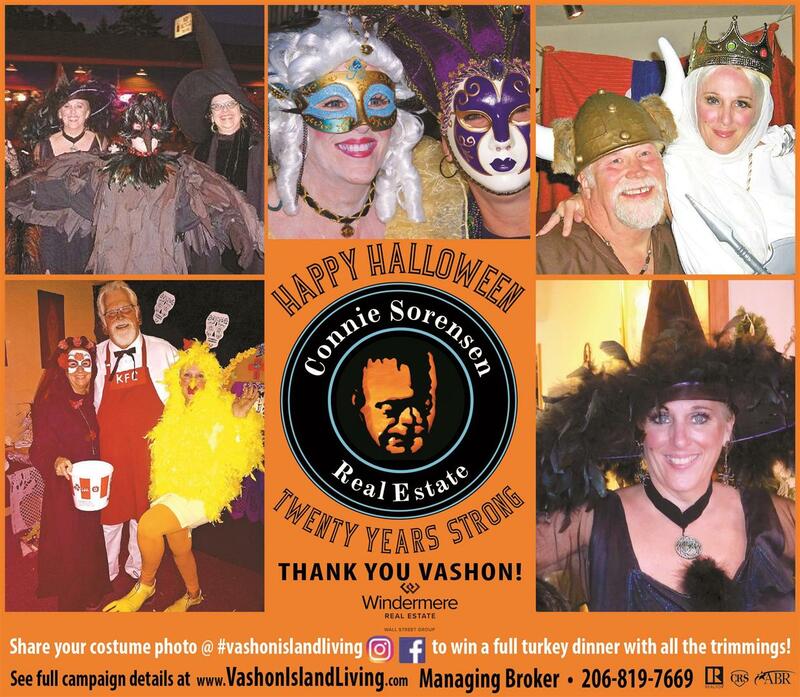 Click Here to see a full set of guidelines and more information about the Best of Vashon Halloween Costume Contest and prizes. Feel free to wander around my website where you can always find the latest in Real Estate news, trends and local listings. Then jump on over to Instagram & Facebook @VashonIslandLiving. It's simple to play! To enter, just share your "Best of" 2018 costume, either yours or a willing friend, with #vashonislandliving & #BestofVashonHalloween. Feel free to share with your followers, too! The photo with the most "Likes" "& "Loves" and/or "Shares" wins a Full Thanksgiving Dinner with all the Trimmings!